Scrum is defined completely in the Scrum Guide by Ken Schwaber and Jeff Sutherland, the originators of Scrum. The Scrum Guide is maintained independently of any company or vendor and therefore lives on a brand neutral site. The Scrum Guide is translated and available in over 30 languages. 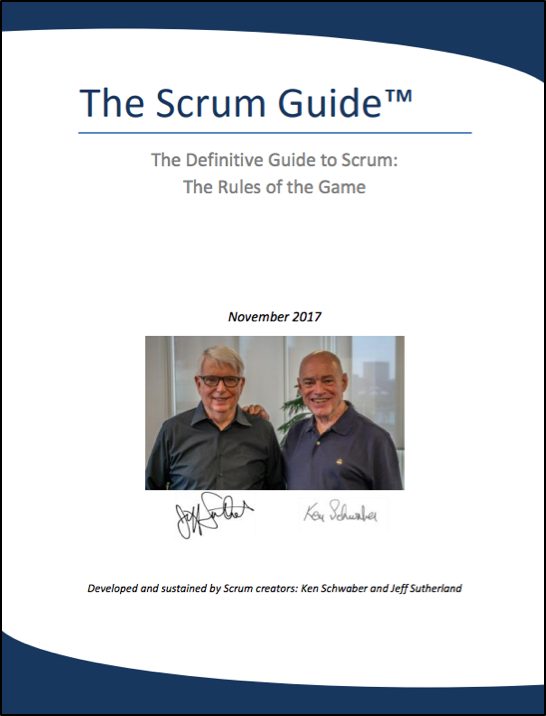 You can read and download the Scrum Guide here.